Lusine Mejlumyan was born in 1980, in Alaverdi city. In 2002 she has graduated from Yerevan State University (Faculty of Economics). In 1998 she has graduated from the secondary school N5 of Alaverdi with a gold medal. From December 2015 – “ACP” CJSC Director. From 2015 up to now – “ACP” CJSC, Head of the Internal Audit Service. From 2013 up to now – “Teghout” CJSC, Head of the Internal Audit Service. 2007-2013 – “Vallex” group companies, Internal Auditor. 2005-2007 – “Vallex Group” CJSC, General Director. 2002-2005 – “Vallex Group” CJSC, Accountant. She is married and has 2 sons. Nikolay Feofanov was born in 1947. He has graduated from Yerevan Polytechnic Institute, faculty of Inorganic Matters Technology. In 1996 he worked in Alaverdy Copper Smelting Plant as Director. 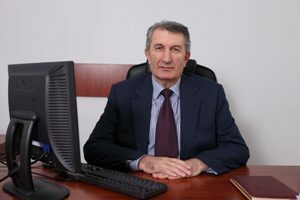 Mr. Feofanov previously held different positions at Alaverdy Mining-Metallurgical Combine in 1970-1986, where he last served as Deputy Director. From 1989 to 1996 he was the Chief Engineer of Manes Nonferrous Metals Plant.